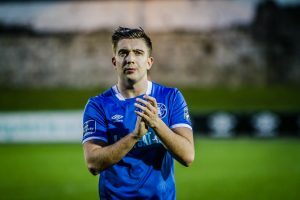 Limerick FC will look to bounce back from their FAI Cup exit at the hands of Dundalk when they return to league action against Shamrock Rovers at Tallaght Stadium on Friday night (8pm). 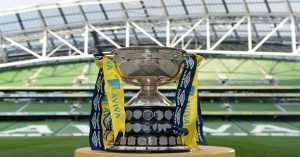 Limerick suffered a heavy 0-4 defeat at the Markets Field against the league leaders to bow out of the FAI Cup at the quarter final stage. A first half double from Pat Hoban along with goals from John Moutney and substitute George Kelly gave the Lilywhites a comfortable victory. 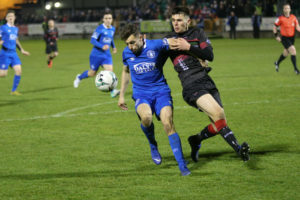 Limerick were unable to replicate the performance from a week earlier when they ran Stephen Kenny’s side close before succumbing to a 0-1 defeat thanks to a late Michael Duffy goal in the final league meeting between the sides this season. The Shannonsiders were unable to retain possession for any period as Dundalk dominated proceedings. Also, the energy from the previous week was not matched as Tommy Barrett’s side failed to effectively press from the front. However, the Limerick native will be pleased with how his side responded as they continued to search for a goal which almost came through a Brian Gartland own goal. The team will need plenty of character as they attempt to prepare for a likely promotion/relegation play off at the end of the season. 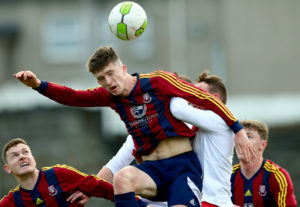 The Super Blues will be without Eoin Wearen who is still struggling to recover from a long term knee problem. Also, Shaun Kelly and Killian Cantwell are highly doubtful once again. 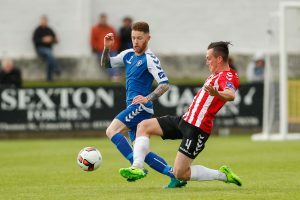 Therefore, it is likely that Barrett will not make many changes for the game in Tallaght. Billy Dennehy will be expected to start at left back in place of Shane Tracy after fully recovering from illness. However, Barrett believes striker Danny Morrissey is not fit to start. Furthermore, it may result in Darren Murphy being asked to play at right back again. 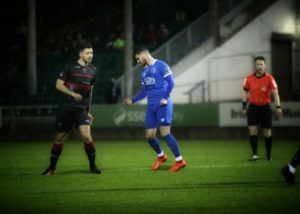 Murphy struggled against the pacey Michael Duffy last Friday but it was only the midfielder’s second appearance in that position. There will a huge onus on captain Shane Duggan and Cian Coleman to quieten both Ronan Finn and Dylan Watts who will be the dangermen for their opponents and restrict the space afforded to both to dictate the game. Limerick face an in-form Shamrock Rovers side who have won four of their last five league games. One of those wins included a 2-1 win in Oriel Park against Dundalk. Stephen Bradley’s side have overtaken Waterford FC in recent weeks in the race for European football. Rovers are now third and two points ahead of the Suirside club. The two teams have met on three occasions so far this season with the Hoops winning two games and drawing one. 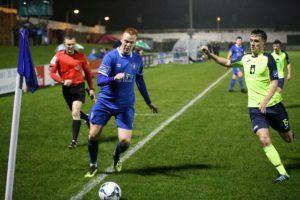 In the last meeting at Tallaght in April, a late Danny Morrissey goal earned Limerick a point as he cancelled out the now departed Graham Burke’s early opener. 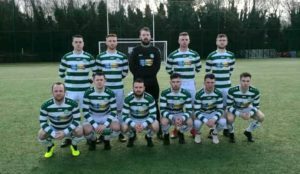 When the two sides last met at the Markets Field in June, goals from Limerick native Joel Coustrain and Burke provided Stephen Bradley with another win against his former club as a player.